Rai’s passion for visioning is infectious! Her work as a visioning teacher, facilitator and spiritual practitioner is highly regarded and recognized. For 18 years, she has been creating sacred space for people from all walks of life to learn and practice visioning. Rai's mission is to touch the lives of those who are meant to touch many, to inspire them to become who they came here to be, and do what they came here to do. 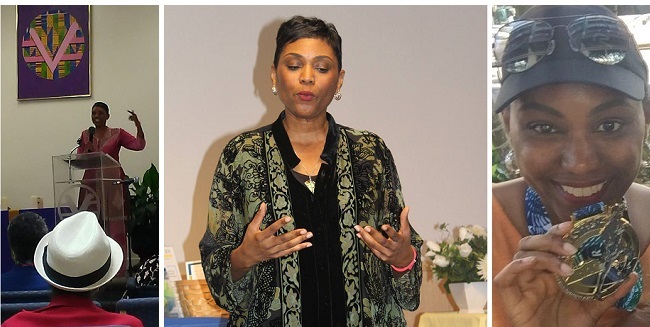 Once a successful yet unfulfilled member of the corporate & non-profit worlds, Rai charted a new course for her life using this evolutionary spiritual practice. She credits visioning with providing her with the guidance, inspiration and courage to turn a good life into a great one. This year Rai celebrates 20 years as a licensed spiritual practitioner, 16 of those with a full-time teaching and healing practice. As Founder and Spiritual Director of Higher Vision Institute, Rai offers a comprehensive support program for individuals and groups to use visioning as a pathway for personal and global transformation. She found visioning such a powerfully transformative tool in her own life that she dedicated her life to helping others use visioning to harness the power to create transformative change in their lives and the world. It is from this desire and commitment that Higher Vision Institute was born in 2007. As Vision Core Coordinator for United Centers for Spiritual Living, Rai led the organization's visioning team and trained regional visioning facilitators to support their local spiritual communities. Under her leadership, the dedicated members of the Vision Core supported United Centers for Spiritual Living and International Centers for Spiritual Living through the multi-year integration process to become one organization. Now serving as Visioning Team Chair for Centers for Spiritual Living, she supports CSL leaders, committees and communities in transforming their lives and their spiritual communities through visioning. Rai graduated from the University of California, Berkeley with a degree in Psychology. She completed her training and licensing in spiritual healing and counseling through Centers for Spiritual Living under the guidance of Rev. Dr. Elouise Oliver in 1998. Rai resides in the beautiful San Francisco Bay Area island city of Alameda. An avid fitness walker and raw vegan, Rai completed the Cloverdale Half Marathon and the Honolulu Marathon in 2016. Rai is training to complete her second half marathon in 2018 and complete the Honolulu Marathon again in 2019, this time with a a goal of cutting her finish time in half. She is the author of “The Visioning Guide: A User's Guide for Igniting Your Life with Visioning.” Her next book will be published in 2019.